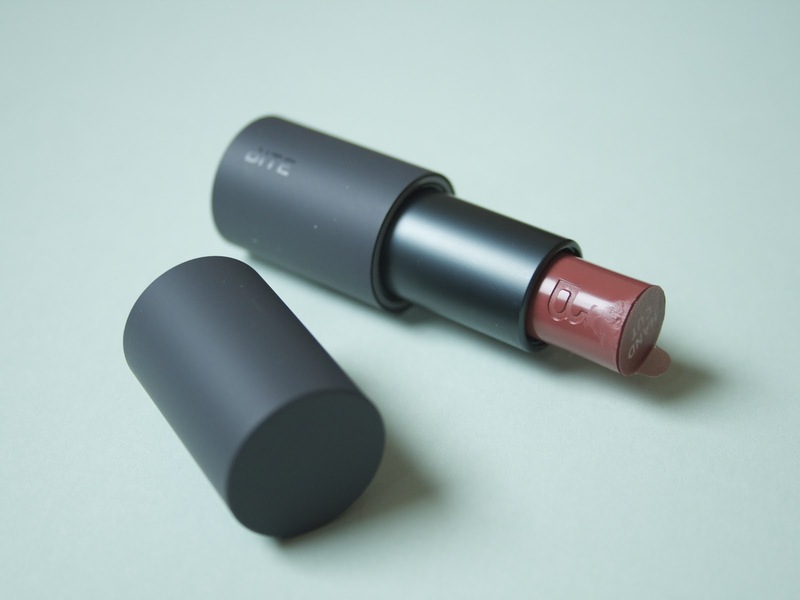 A brief perusal of this blog will reveal that I am a huge fan of Bite Beauty. From their lipsticks to lip pencils to lip glosses, I have quite literally never bought a product that I didn't like. But for some reason I wasn't initially interested in the Butter Cream Lipstick line that was released earlier this year. I didn't think they would offer anything significantly different from the Luminous Crème Lipsticks, and—because I couldn't swatch them in person before buying—I was unsure of what shade to go for. But after reading countless reviews raving about these lipsticks, I pulled the trigger and ordered Pecan during the Sephora VIB sale. Pecan is described as a 'warm dusty pink'. It has a hint of brown to it, but enough pink to keep it out of the 90s lip/Kylie Jenner category. I don't think the shade is the most unique or undupeable colour I've ever seen, but the formula is what makes this an absolute must have. 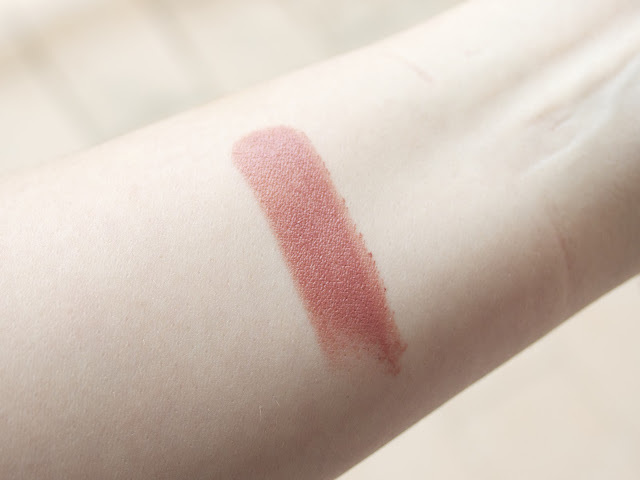 I find the normal lipsticks in Bite Beauty's lineup to be sufficiently creamy, but these somehow step it up a notch. They feel like a super creamy gel formula that adds cushion to the lips without feeling heavy or thick. I know that a lot of people have been put off by the unusual shape of the bullet, but I've not had any problems with application. 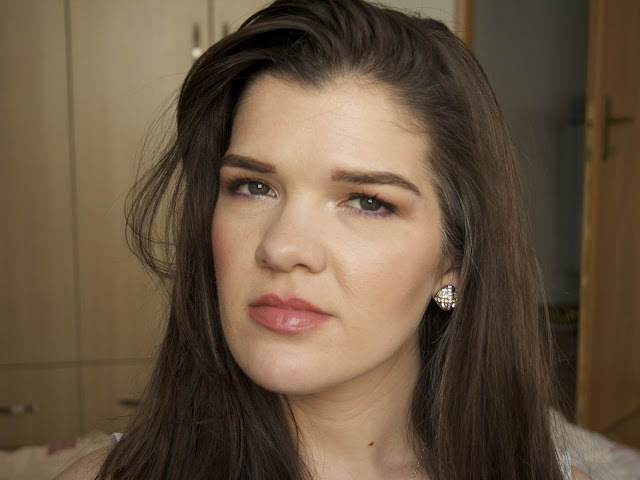 I use the flat edge to get a clean line in my cupids bow and it works like a charm. Those with very thin lips may struggle and could opt to use a lip brush, but I think the overwhelming majority of people won't have a problem with these. The lasting power of these lipsticks is quite good (around 6 hours on me). I have been wearing them directly on the lips, without a lip liner, and haven't experienced any feathering or bleeding. They give a nice sheen to the lips, which I find very flattering to wear, especially during the warmer months. Pecan is the first Butter Cream Lipstick I bought, but it won't be the last. I've currently got both Rosewood and Heather sitting in my Sephora.com cart. I would love it if they expanded the range to include some non-neutral shades, but in the meantime there is enough variety to keep things interesting. The Bite Beauty Butter Cream Lipsticks are available at Sephora for $28. Have you picked up any of these yet? Let me know below.